North Korea’s newest distribution Red Star OS, Red Star 3.0 is an apparent ripoff of Apple’s OS X. The operating system helps the totalitarian state to monitor its constituents. North Korea has been in the news quite a bit during the past few years. It is speculated that the so-called “rogue nation” has nuclear capabilities, has launched cyber-attacks against the United States, and even forces its citizens to follow the fashions of its leader, Kim Jong Un. The nation also has its own operating system. The newest distribution of this operating system, dubbed Red Star 3.0, is modeled after Apple’s OS X. This is a change from Red Star 2.5 which was based on Microsoft Windows XP. This latest distribution is built off of the Fedora 11 distro of Linux. Unlike its parents operating system, Red Star OS was not developed with concepts of freedom in mind. Instead, this operating system is made to spy on and restrict its users. North Korea is a nation known for its harsh censorship laws. 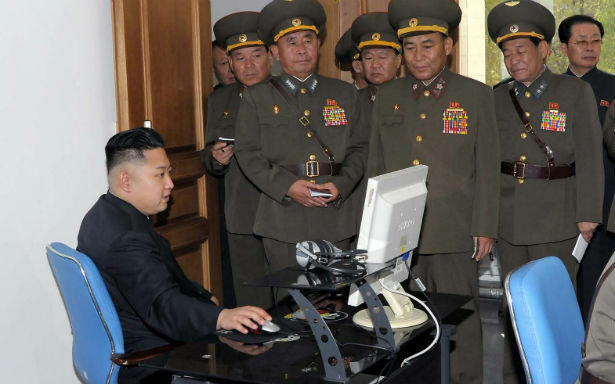 Red Star OS allows North Korean authorities to spy on the behavior of users, as well as any illegal files or media that users may possess. Techies are often known for wanting to tweak settings after installing a new operating system. In order for a user to make modifications to Red Star 3.0, such as disabling the anti-virus software that tracks “malicious” files like foreign movies, they would have to gain root access. Any modification made without root access will lead to the operating system rebooting, and all changes being rolled back. Be happy that you do not live in an oppressive regime the next time that you complain about disabling Cortana! Despite its probable lack of appeal to users outside of North Korea, Red Star OS is fully-functional. The operating system even comes with a Korean word processor and application that allows users to compose music pre-installed. Red Star OS is not the only government-sponsored operating system. Both Russia and China (where Windows XP is still makes up a huge share of the operating system market) made their attempts at an official state operating system. Cuba, another communist country, runs National Nova on its computers.